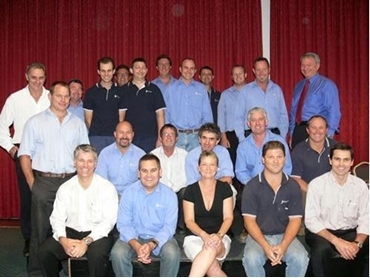 Efficiency Works in partnership with SkillsTech Australia recently presented twenty Stoddart Manufacturing employees with Certificates in Competitive Manufacturing in Brisbane. Stoddart is a metal manufacturing company. SkillsTech Partners engaged Efficiency Works to deliver the Competitive Manufacturing Initiative (CMI) training which made significant, measurable improvements to Stoddart Manufacturing’s business operations. The Competitive Manufacturing programme is delivered in the workplace by skilled ‘Lean Consultants’ who coach and mentor the participants through projects designed to make sustained business improvements. At the presentation, Stoddart Manufacturing observed that the competitive manufacturing training delivered business improvements and cost savings.